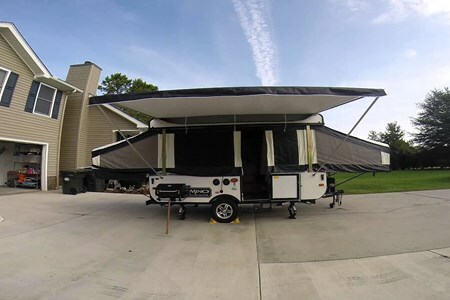 Heated! 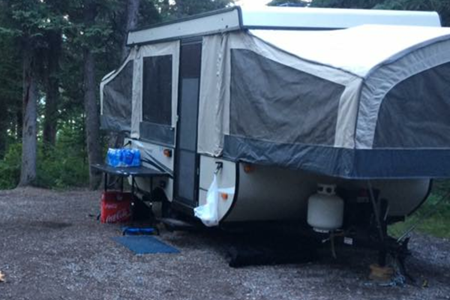 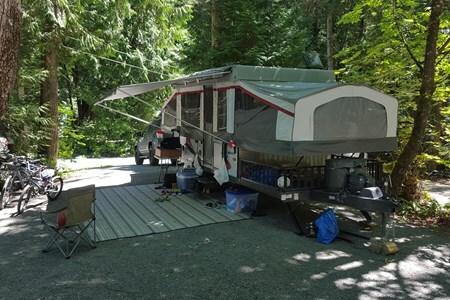 Enjoy RV Camping Adventures with a Palomino. 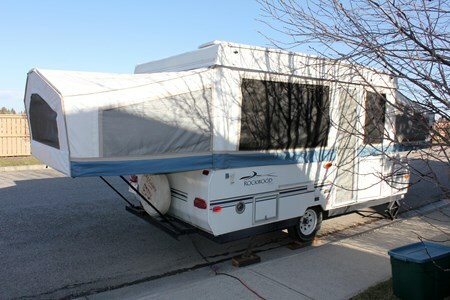 Spacious and Comfortable. 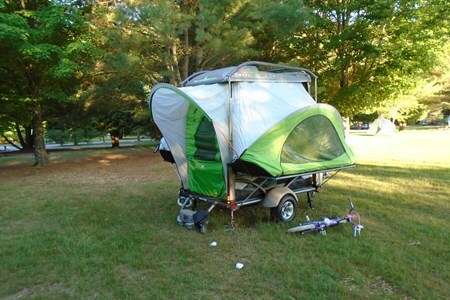 Also known as pop-ups and tent trailers, Folding Camping Trailers are great for outdoor enthusiasts who love sleeping in a tent, but want to be off the ground. 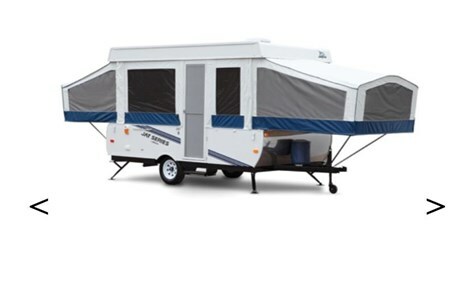 The Folding RV Travel Trailer are lightweight, easily folds down and out of the way for almost effortless towing. 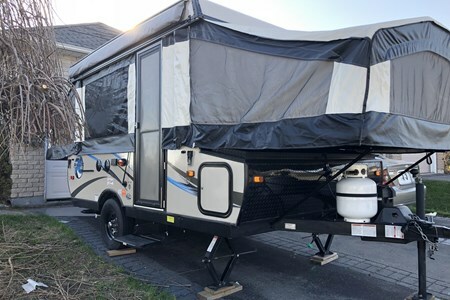 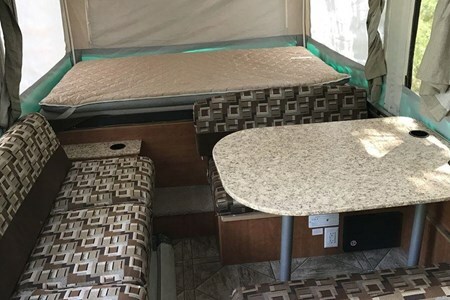 The canvas sides extend to reveal queen-sized beds, which makes it easy to have that fresh-air experience we all want but with all the comforts of an traditional RV travel trailer. 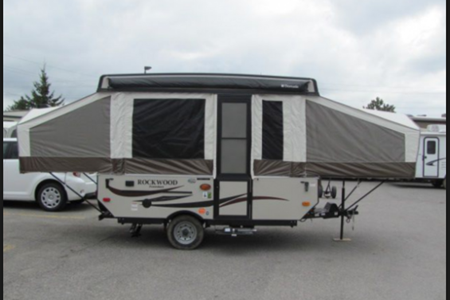 Folding Camping Trailers appeal to renters who are looking for an easy to tow yet roomy towable RV. 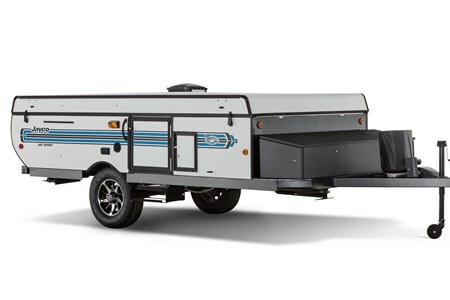 Be sure to check your tow vehicle’s tow limits, but some of the lightweight tent trailer models have been specifically built to allow for towing behind many typical family vehicles, including some small cars. 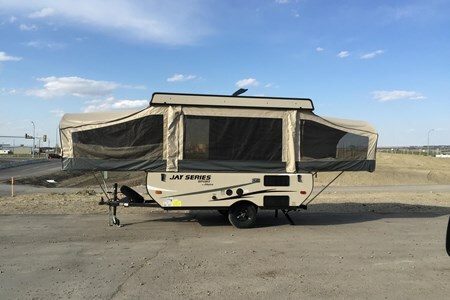 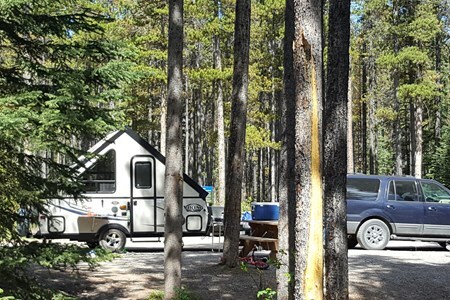 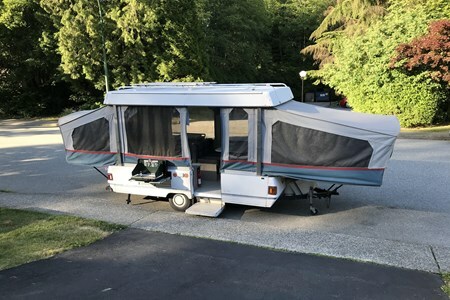 Lightweight and easy to maneuver when closed, Folding Camping Trailers are a breeze to unhitch from the tow vehicle, allowing the vehicle for doing other things like sightseeing. 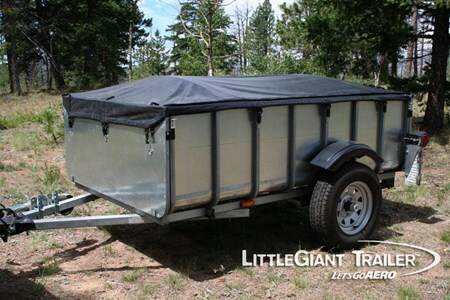 The compact size allows for easy storage as well as quick and simple setup. 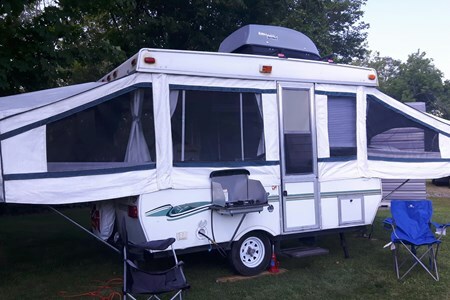 Ample living space means kitchen, dining and sleeping areas are standard, with additional amenities available depending on size. 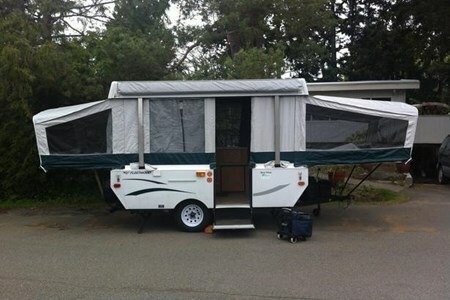 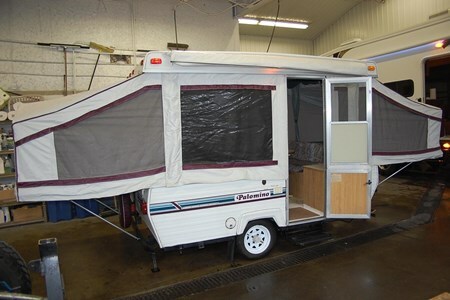 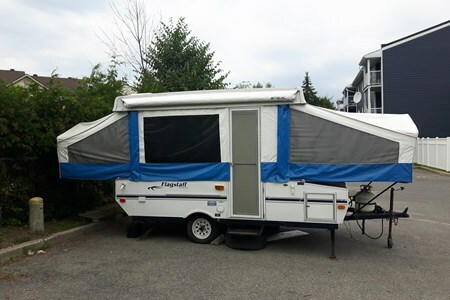 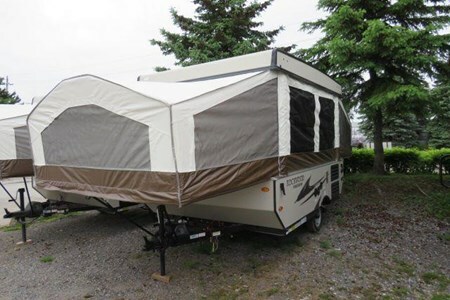 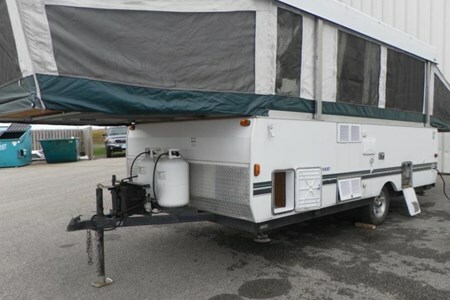 Some Folding Camping Trailer models have slideouts that provide additional living space at the campground. 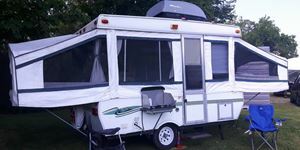 Why Rent a Folding RV with Wheel Estate?